Futuristic convention centres in historic cities and restored heritage sites, show Austria's meeting spaces offer an intriguing blend of old and new. Vienna, Austria’s capital, with a history dating back 2,000 years, offers an eclectic architectural mix for event planners, from Romanesque and Gothic churches and stunning Baroque palaces to townhouses. The city’s Ringstrasse boulevard, lined with monuments built between 1860 to 1890, is a dazzling display of 19th-century architecture, while urban planning and restoration projects showcase the best in contemporary design and a seamless blend of old and new. Host an event in the Palais Coburg’s ornate historical rooms or in the Casemates in the basement – part of Vienna’s underground fortification system where weapons were stored. The space features a stone cupola equipped with state-of-the-art technology. Experience a mix of baroque and modern styles at Halle E+G in the MuseumsQuartier – Vienna’s former imperial stables – or opt for the restored Aula der Wissenschaften (Hall of Science); dating back to the 17th century, it preserves tradition with modern touches. On the hotel front, the 294-room Le Meridien Vienna reflects an urban chic vibe with its design, while the 152-room Palais Hansen Kempinski Vienna showcases contemporary luxury in an historic building. Venues in Voralberg, western Austria, showcase how modern structures can easily combine with tradition. The Montforthaus, which opened in 2016 in Feldkirch, features contemporary design blending effortlessly with its medieval surroundings; it seats up to 1,150 in its biggest space. 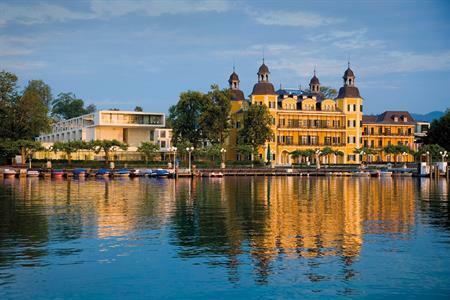 In southern Austria, architectural highlights for meeting planners in the Styria region include Schloss Segau, a convention centre putting modern design in a medieval setting, the futuristic-looking Messecongress Graz, and the Hotel Schloss Obermayerhofen, which dates back to the 13th century. Futuristic design is also showcased at the ice Q restaurant in Sölden, which featured in the James Bond movie Spectre. Its glass facades make the building seem transparent and there are stunning mountain views. For a more earthy, oldstyle design, opt for Seminarhof Tratzberg. Built entirely from organic wood, the venue offers a retreat-styled experience and is flooded with light. For a sporting venue with a difference, the Bergisel Ski Jump Stadium in Innsbruck showcases Olympic history and modern design. The first ski jump took place in 1927, while a 50-metre tower, designed by Zaha Hadid, was added in 2002. Available for events, the tower features a restaurant with floor-to-ceiling glass windows and a panorama terrace. 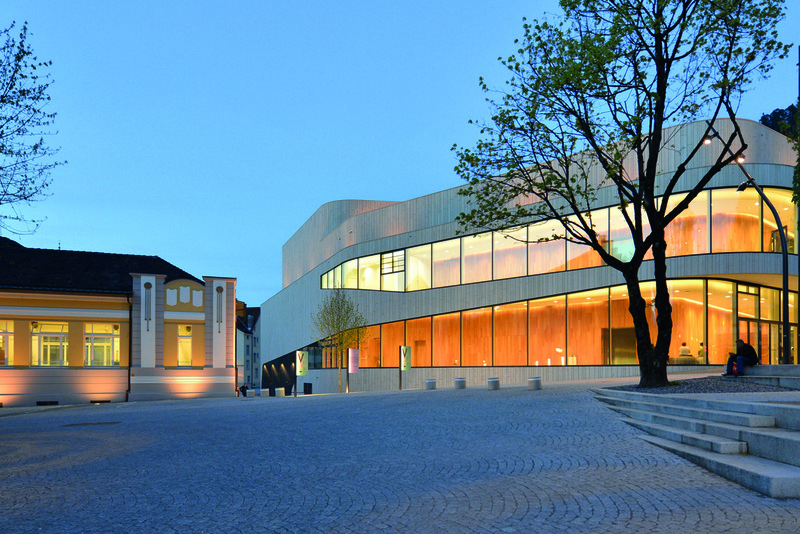 As a designated UNESCO City of Media Arts, Linz’s buildings reflect the city’s standing as a leader in art and technology. Overlooking the Danube, the Ars Electronica Centre showcases the latest trends in art, science and technology, with a design to match – 40,000 LEDs illuminate the building’s partly transparent, partly translucent, glass surface. Host events for up to 120 theatre-style in Sky Loft, while the Deep Space area, suited to 150 for cocktails, features a projection space on the floor. Other impressive venues in Linz include the Design Centre, with its pillar-free, arched structure, flooded with natural light, and the steel-framed Tabakfabrik, a former tobacco factory. For any further information on everything Austria has to offer, visit the Austrian National Tourist Office website here, or you can contact them on the below details.